I’m of the opinion that all committed Christians should (and do) have a genuine love of learning. Christians have been serious students of knowledge since Jesus called the Original Twelve. From Jesus’ example as the Master Teacher, to the scholarship of monks that led to the first and best universities, Christians have always been in the forefront of teaching, learning, and education. If you think about it, that’s the way it should be. First, God is omniscient— meaning He knows everything. This all-knowing God made part of His infinite knowledge available to us. He has done this through the process of “revelation.” Divine revelation is the act of God revealing knowledge to us. God has given us both General Revelation and Special Revelation. General Revelation (the cosmos, science, history, and the human faculties of reflection and conscience) has two main purposes: (1) To provide knowledge that helps people survive and thrive in our earthly lives, and (2) To help us realize that a Supreme Being exists, so we will begin to seek to know the true identity of this God (which is discovered through Special Revelation). Special Revelation (including the Bible, Jesus Christ, and God’s supernatural activity) provides us with the information we need to know God personally and to cultivate a never-ending relationship with Him. Together, God’s Revelation helps us live lives informed by God’s knowledge, truth, and wisdom. But there’s a catch… Though God has revealed enormous amounts of information, we do not naturally or automatically possess all of this knowledge. In other words, “revelation” is everything that God has made knowable or discoverable. Some of it we already know, but we’re born with very little innate knowledge. The rest has to be learned. God helps us discover new knowledge in two ways: Through reflecting on life experiences and by intentionally and deliberately committing ourselves to learning. Christians, of all people, have a responsibility to learn. The Apostle Paul, in writing to Christians in the city of Ephesus, made this clear. He prayed that God would “give you spiritual wisdom and insight so that you might grow in your knowledge of God” (Eph 1:17, NLT). Not only that, but “God is working in you, giving you the desire and the power to do what pleases Him” (Phil 2:13, NLT). For these reasons, Christians who walk with God have a supernatural desire to obtain information, knowledge, truth, and wisdom— and they are willing to do what it takes to learn them. Since there’s so much we need to know, Christians should be life-long learners. And because time is limited, we should be discriminating about how we study and what we learn. One of the best pieces of advice I can give about building a strong Christian mind is this: study regularly and systematically. Don’t just pick and choose books or subjects willy-nilly. Rather, identify important categories of knowledge in which you should be informed, then deliberately, intentionally, regularly, and systematically use solid materials from reliable sources to build your mind and worldview. The Apostle Paul said it best: “And the things you have heard me say in the presence of many witnesses entrust to reliable people who will also be qualified to teach others” (2 Timothy 2:2). Recently, while I was sitting in the dental chair, I asked my dentist and the dental hygienist, to describe for me what makes for a great professor. After some thought, they both unanimously agreed that the best professors were those who truly cared for you. As my anesthetic gradually wore off later in the day, I began reflecting on how teachers communicated their concern for me as a student over the years of my education. In high school, my world literature teacher let me teach class one day debating the merits of secular humanism as compared to the truth of the gospel. I was the only one in my entire senior class to take him up on the offer to teach class for one day and though he was an atheist, he enabled me to teach on whatever subject I desired. At St. Cloud State University, during Social Science 204, after listening to a homosexual couple describe their relationship, we had to write a paper stating our own views. I expressed some strong statements in that paper and though the professor disagreed with me, he still gave me an “A” based on the quality of my work. In seminary, when I couldn’t meet the agreed upon deadline during an independent study course, my professor cut me some slack so I could graduate. Dr. Mark McCloskey, a dean at Bethel Seminary, met me with personally for mentoring, greatly encouraging me during a difficult time in my life. Then, there was Dr. John Hannah, distinguished professor of Church History at Dallas Theological Seminary, who I encountered during Campus Crusade’s summer training, who cared enough to investigate nearly every detail of his subject matter making him a true expert. In my doctoral program, Dr. Klaus Issler cared enough to keep pushing me to give my absolute best in his Theological Research and Integration course. Dr. Kevin Lawson expressed his care through being willing to do whatever amount of work it took to help me and my fellow Talbot colleagues grasp and comprehend solid and robust educational research. The list could go on and on of teachers who found ways to express care and concern in their pedagogy. Caring for students, though there are a thousand ways to express it, is not dependent upon the subject matter but rather upon the character and heart of the teacher. And, whether a teacher is a Christ follower or not, whether in elementary or graduate school, students can tell if they care, making this ingredient an indispensable part of the best courses. Spiritual Blindness: Why don't they get it? Spiritual Blindness: Why don’t they get it? One of the greatest moments in a teacher’s life is when their students “get it” and the light bulb comes on. Sometimes you can see it in their faces, in their assignments or perhaps in their review of your course. There’s something inherently satisfying seeing tangible evidence that you made a difference in someone’s life. But what happens when they don’t get it and you can’t seemto get through to that young mind? You know the truth you are sharing is critical to their understanding, yet they just don’t seem ready to hear it. As teachers in Christian education, we are like the Apostle Paul who said to the Corinthians, “we impart this in words not taught by human wisdom but taught by the Spirit, interpreting spiritual truth to those who are spiritual” (1 Cor. 2:13). Last week I was teaching a large group of high school students in a foreign country on a mission trip and I desperately wanted to share the gospel with them. However, the national staff told me if I did this publicly in this way, it would not be received well by the students due to cultural differences. They might be open to hearing it one-on-one but not in a large group setting, and especially if I preached it to them. I consented, relinquishing my own ambitions, and shared only a small portion of my personal testimony regarding the importance of God in my life. Immediately afterward two of their national staff thanked me for planting the seed in the student’s minds and said my approach was very effective. Yet I struggled within myself thinking, “why can’t I just share the gospel with them…this is what they need!” Yet, the truth was simply that they were not ready to hear it in that way. Paul likewise, experienced similar frustration with the Corinthians, “I fed you with milk, not solid food, for you were not ready for it” (1 Cor. 3:2). Even Jesus, in speaking to the disciples, had to curtail his teaching, “I still have many more things to say to you, but you cannot bear them now” (John 16:12). Portfolios are a feature we have chosen to use to enhance the way we provide information. People are always looking for good content for building their personal knowledge. When we are informed, we can become thought leaders. There are numerous areas we’ve developed in the Portfolio areas, but one of the areas of greatest interest to our Academii members and guests are the “Education” and “Technology” links on the Portfolio page and on the Portfolio drop down menu. On those pages you will find amazing links to some of the best destinations on the world wide web for content in those respective areas. Just click and get informed. Each image on every portfolio offers a world of good that will inspire you to world-changing action. Enjoy– and here’s some ways you can help us make these resources better: First, let us know in the comment section if there are other areas you might want us to expand. Second, if you like it, share it! Accordance can be purchased online at http://www.accordancebible.com. Currently, the most basic Accordance package can be purchased for a reasonable price. The basic package includes Accordance along with a starter collection of various reference tools. Moreover, many Christian stores, including on-campus bookstores, also sell Accordance. In any case, before purchasing, it must be noted that Accordance was originally designed to run on Macs. For some older versions, PC users may need a Mac emulator to run Accordance. Perhaps the two most important aspects of most information-laden professions and leadership in general are (1) becoming a strong writer and (2) becoming a strong speaker. This is because of the importance and priority of communication and its central role in leadership and life. Today I want to share what a power communicator must have. There was a resource offered a number of years ago that referenced this concept, but I’d like to unpack these ideas a little more here. Those of us who put food on the table through our teaching/preaching/speaking think a lot about communication. And as an educator, I spend time considering how to help undergraduate, graduate, and doctoral pastoral and ministry students become the best communicators they can possibly be. I want to bring balance to the issue by highlighting three enormously important issues for communicators and those who train them. There are those who sometimes teach or speak who are entertaining to hear, but who fail to deliver the goods. When life (or people, time, resources, business, money, influence, whatever your thing) is on the line, the one thing you must do is put the cookies on the bottom shelf. Meaning, you MUST bring home the bacon; you MUST ring the bell; you must shuck the corn. Whatever analogy you want to employ, it’s crucial that if you’re going to speak, you have something to say. Some people don’t. Others think they do, but can’t produce. Content is an enormous priority for the speaker– in many ways THE priority. Don’t neglect the content. Don’t abuse the message. It’s the only reason you’re really speaking in the first place. In addition to WHAT one says, however, is HOW one says it. A really common and unfortunate mistake that many ineffective communicators make is to assume that CONTENT (substance) is all that really matters in speaking. This could be a painful statement, but the people who make that false assumption are generally poor communicators. 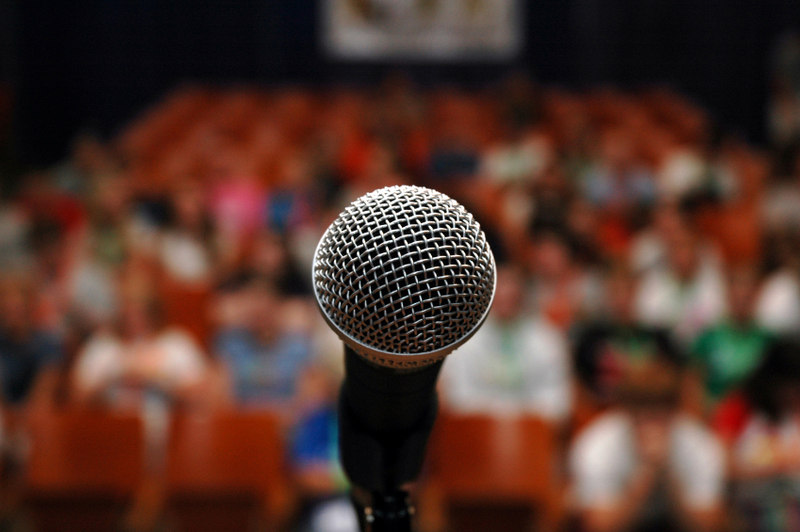 Any strong communicator knows that connecting with an audience is by no means restricted to the substance of the talk. So, in addition to substance is SOUL. “Soul” has to do with the communicator’s inner man. His or her inner self. The best communicators are able to transcend the limits of language and place their very hearts on display. They reveal primal emotions, potent convictions, and powerful attitudes. They can release the best of their personhood and vitality in the moment of truth. They have such a command of their ‘selfhood’ and security in their identity that they are able to project whatever their subject calls for: authority, passion, motivation, intimacy, compassion, angst, inspiration, humor, gratitude– whatever it may be, to their listeners– making them feel and think and want to do the same thing. Without soul, we’re only talking heads. Without soul, we have no heart. Without soul, we’re old news– we’re just another tired talker, but not a power communicator. Release the fullness of your best self when you step onto the platform or when you stand in that sacred desk. Substance is a must. Soul is indispensable. But your speech must also sizzle. After you’ve done the hard work of study, reflection, hermeneutics, exegesis, research, thought, meditation and speaking prep, if you are incapable of bringing the heat, you will likely lose many of your listeners. So it’s not only what you say, but how you say it. It’s not just being an effective speaker and having a handle on grammar and syntax. It’s also making sure that you have a powerful command on vocabulary that you can draw from at a moment’s notice in order to paint a masterpiece to your audience or the congregation. Can you make it “SING?” Can you allow the Spirit of God to breathe life into that dry manuscript and make the bones live? When you speak, does it pop? Does it happen? Does it thrill and excite and stimulate the learner. Does it force the listener to think, feel, and act? The best speakers have a near hypnotic command of their audience in such a way that the person loses all track of time and, as you speak, their hearts burn within them. Though, in Christian speaking, the power of God sometimes falls on a situation, to be sure– but do not confuse that supernatural act with the need for personal effort in selling what you say with a little sizzle.